Black or blue screen or unable to start issues is a common problem for all laptop users , need to troubleshoot the system to get rid of these laptop errors. Just on to laptop repair world or call our customer support team to get the right solution for your system with guarantee. 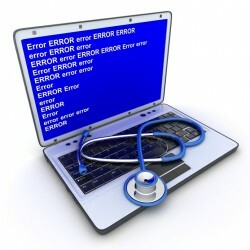 Laptop blue screen errors may occur due to low memory or software issue. Keeping in mind of current market value we provide high quality repair services at an affordable price to our customers that they can easily manage to keep their system alive. We have easy pay option that our customers can easily deal with us, we have online pay option, cash pick up and many more, just log on to our website or call our customer support team for detail. As per our company norms we provide 6 months warranty to our customers on all brands of laptop, for detail just call our customer support team or log on to our website laptoprepairworld. We provide same day service for an urgent requirement.This is a quick service process for our customers to fix any laptop related issues just in a very short time. We have transparent pricing on servicing on all brands of laptop that the customers aware of the exact price to pay on that perticular repairing process. We provide this process to maintain a stable relation between customers and service provider while dealing. We provide discount specially for students, offices, colleges on all brands of laptop repairing. We provide same service process which we provide to our full paid customers by our expert engineers.